Grabber Tool, Futureup pick-up and clean-up tool is great for use in the home and around the yard. Also provides help for the physically disabled.This is a must have for anyone who needs a helping hand and wants less back strain. Features: -Material:Aluminum alloy+High Strength ABS&TPR. -Folded size:Folding about 42cm/16.5 inch;Expansion 81cm/32 inch.No bending, climbing, or straining your back. -Ideal to pick up cigarettes, parking tickets. -Use indoors or outdoors in your home, office, garden or car. Package included： 2 x Foldable Extender Gripper Tool Warranty: 60 days money-back. Any questions you have, please don't hesitate to contact us. We will get you back within 24hours. This Grabber tool is the perfect multi-purpose item for whenever you may need a helping hand. 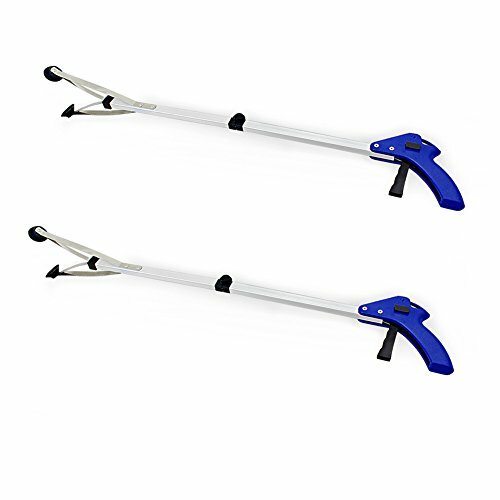 Light weight and foldable this reacher is made of high quality aluminum to hold up during any job. 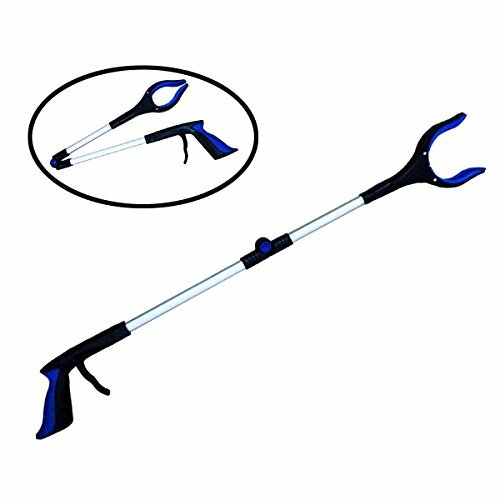 Great for assisting in picking up trash getting into tight spaces picking up glass & many other uses. Reaching tool is super convenient as it is super light weight and folds for easy storage. 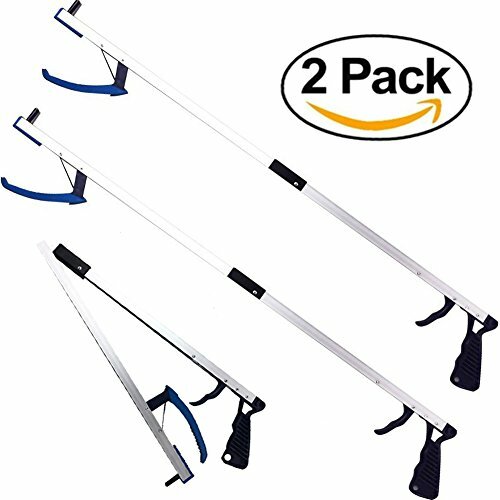 Extends your reach nearly 3 feet, measures at 32 inches long. Heavy gauge material for durability. Collapsible body hole on the handle ensures easy storage and transport. Use indoors or outdoors in your home, office, garden or car. Material: Aluminum alloy +Plastic. Folded size: Folding about 42cm/16.5 inch; Expansion 81cm/32 inch. Package included： 2x Grabber Tools Note: 1.Transition: 1cm=10mm=0.39inch 2.Please allow 0-1cm error due to manual measurement. pls make sure you do not mind before you bid. 3.Due to the difference between different monitors, the picture may not reflect the actual color of the item. 4. Any question please contact us. Thank you! 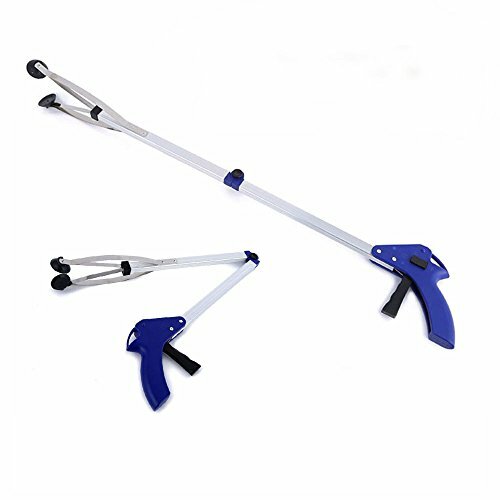 Material: Aluminium , plastic Color: alloy color+blue handle Total length: Approx.83cm Handle: 14cm folded length: 43cm weight:200g Reacher grabber pickup tool easily reach high shelves, behind furniture and appliances and in other tight spaces with the extender tools. 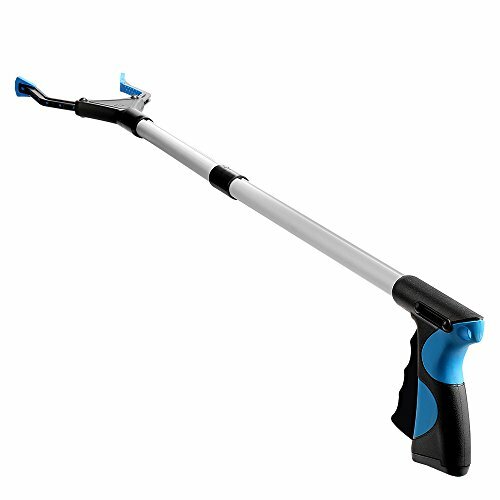 32" extra long gripper tool allows you easily extend your reach, It makes any reaching and grabbing job easier, faster, and safer. No stretching, stooping, or bending needed! 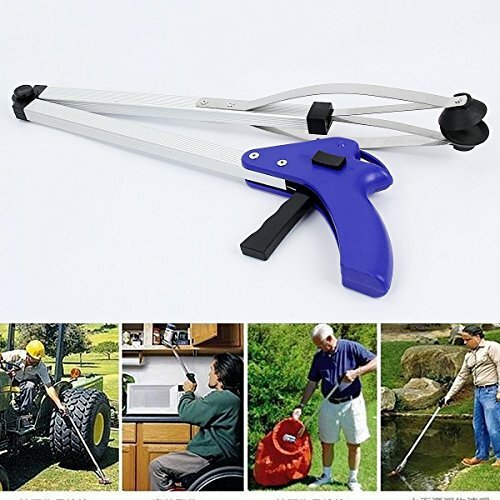 The assist grabber is perfectly for assisting the elderly, people suffer from arthritis,painful back and those recovering from surgery, help them collect and disposed of trash, yard clean-up, and no need bending and stretching. This Generic GEN10274 Pickup and Reaching Tool makes it easy to pick up any items in your home, office, car or boat. 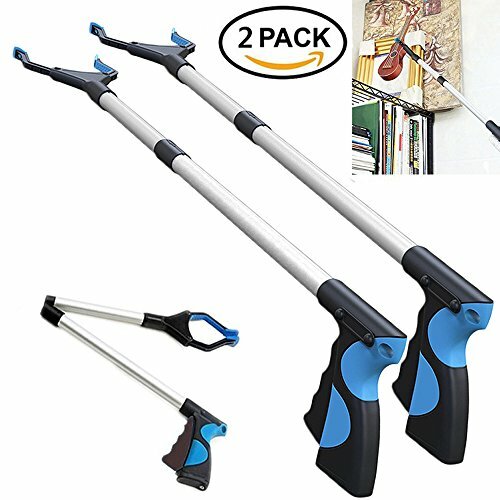 Extends your reach by at least 3 feet and folds up easily for storage. 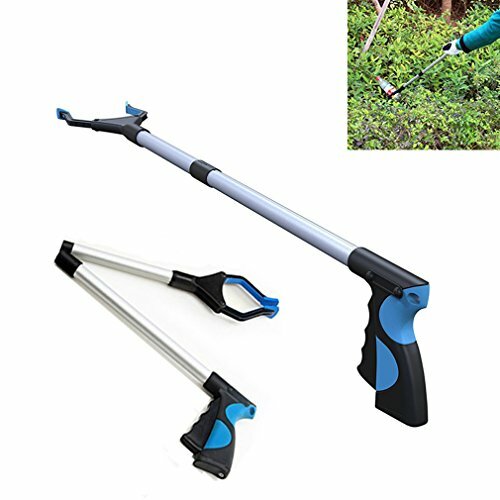 Long Pick-Up Gripper Trigger-Style Action, Folds In Half for Easy Storage, Locking feature, Light Weight Aluminum Construction, Rubber Suction Gripper/Grabber, Extends your reach nearly 3 feet, Use it in your home, yard, office, car, boat, RV - wherever you encounter hard to reach places. Now you can reach and grab items high and low without bending, climbing, or straining. The Easy Reach extends your reach nearly 3-feet - even behind furniture and appliances. Strong enough to lift a 5-pound bag of sugar. 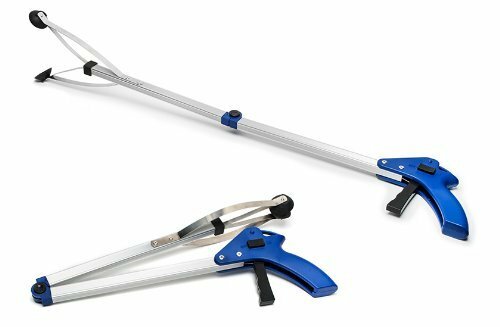 Looking for more Folding Pickup Tool similar ideas? Try to explore these searches: Adjustable Die Stock, Orange Nylon Strap, and God Series. Shopwion.com is the smartest way for comparison shopping: compare prices from most trusted leading online stores for best Folding Pickup Tool, Hardened Replacement Shaft, Barnett Revolution, Tool Folding Pickup . Don't miss this Folding Pickup Tool today, April 19, 2019 deals, updated daily.